Scotty McCreery, "The Trouble With Girls"
Since his win on American Idol in May, there has been plenty of buzz surrounding Scotty McCreery’s debut album. With Clear As Day coming out October 4, the spotlight is definitely on the teenager as he attempts to live up to everyone’s post-Idol expectations. He’s already said that the album will stick to his traditional leaning roots and won’t be anything “poppy.” That’s why it’s a little disappointing that the album’s second single, “The Trouble With Girls,” is a pop-leaning ballad rather than a traditional country music song. Everything in the song’s production screams pop. The song’s introduction includes a Lady Antebellum-sounding piano medley that continues throughout the entire song while a full orchestra (much like “Hello World”) creeps in during the middle. If there’s any country steel guitar or fiddle riffs, they’re hidden within the dramatic dynamics. The beginning starts off soft and then crescendos into a loud, fuller sounding production and then descends back into the quiet dynamic. The only real country sounding part of the song is Scotty’s vocal performance. His deep Josh Turner-like voice shines on this dull song. Just like he did on “I Love You This Big,” McCreery challenges his vocal range by traveling outside his comfortable lower range to hit the higher notes. Though everything else around the vocal is clearly pop, he manages to somehow keep his performance relatively country. The song’s lyrics are in the same vein as the adolescent themed “I Love You this Big.” On “The Trouble with Girls,” the singer sings about the difficulty of understanding girls. “The trouble with girls is they’re a mystery, something about them puzzles me…I guess that’s the way it’s supposed to be,” sings McCreery as ponders about girls, “they hook you with one touch and you can’t break free, the trouble with girls is nobody loves trouble as much as me.” When you consider the fact that Scotty is still a teenager, the song seems like a right fit for him. Unfortunately, most country music listeners aren’t teenagers so this song kinda of alienates the older country fans. I’ve always said that the song Scotty chooses to release after the debut single could make or break his career. If he wants to enjoy success like one of Idol’s most successful winner, Carrie Underwood, then he would have to release his own “Jesus, Take the Wheel.” Unfortunately, “The Trouble with Girls” misses that mark. It’ll be very interesting to see how the album sells come October and how this song will do on the charts, but his future in country music could be in jeopardy based on this song. 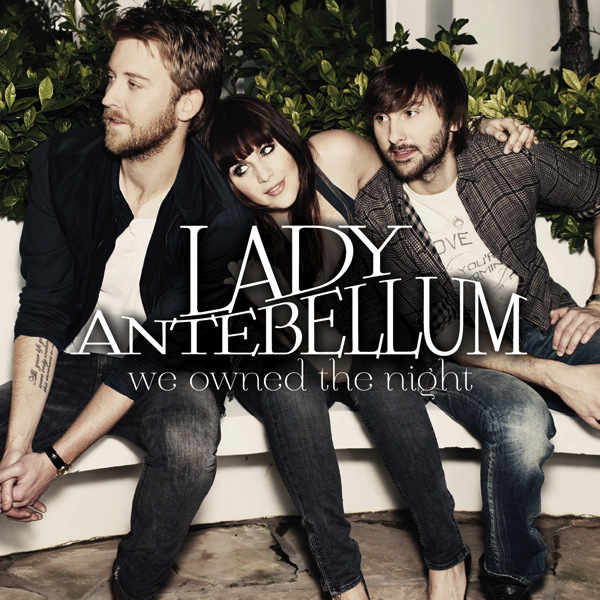 I’m pretty sure it’s safe to say that the third album, We Own the Night, from superstars Lady Antebellum is the most most anticipated album of the year. After the success of their triple platinum selling and Grammy award winning album Need You Now, everyone is wondering how the group will attempt to top that success. They proved to be on the right path the lead off single, “Just a Kiss,” and are now releasing the album’s title track, “We Owned the Night,” as its second single. If you’ve ever read any posts from me related to Lady Antebellum, you’d know that I pretty much like anything they do. So it’s a bit surprising to me that I am not a fan of this new single. I appreciate the fact that they are trying to stick to their country-pop artistic roots on this song, but it doesn’t work. The production is a little unusual to me. I know the group considers them to be pioneers when it comes to the types of productions they use but the guitar line mixed with the annoying drum beat during the introduction sparks nothing inside me. The production doesn’t get much better from there as the acoustic guitars turn into electric guitars and everything becomes slightly overwhelming. This is interesting considering “Just a Kiss” had a more toned down production and avoided overwhelming me as a listener. Then there’s the weird sounding lead vocal performance Charles Kelley delivers. I have no clue what they were going for in terms of how the vocals were supposed to sound, but again it just doesn’t work. Nothing works for this song at all, which scares me because I’ve been looking forward to this album since its release date was announced. The lyrics are some of the worst to come from this talented trio that I’m not even sure what to say about them other than they are verging on bad (“the wine spilled on your dress, and all you did was smile…yea we owned the night”). I’m really hoping that this is the worst song on the upcoming album. Arizona is experiencing a shortage of major concert tours this year. So far the biggest shows have been April’s Country Thunder and June’s Tim McGraw performance. 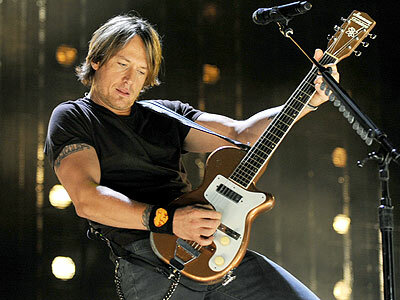 Luckily a writer from Arkansas by the name of Scott Smith was able to attend and write about superstar Keith Urban’s recent concert in Tulsa, Oklahoma. If you’d like to submit a concert review for posting on ATC, please feel free to email me. In the mean time I hope you enjoy Scott’s review. A whole lot of country and rock flavored singer-guitarist Keith Urban’s performance Aug. 18 inside the BOK Center in Tulsa, Okla. The Australian-born hit maker pleased long-time fans and apparently won many new believers during a concert that ran far past the two-hour mark. “Days Go By,” “I Told You So” and “Only You Can Love Me This Way” came early in the energized set, with “Raining on Sunday” morphing from its initial meditative state into gospel-esque crescendos. Dressed in a snug brown T-shirt, faded bluejeans and well-worn work boots, Urban surprised some viewers when he played an abbreviated, one-man version of Paul McCartney and Wings’ “Silly Love Songs,” “You Gonna Fly,” “Jeans On,” “Georgia Woods” and “Sweet Thing” also won waves of applause and cheers from the all-ages crowd. As strong as his voice was at the Tulsa gig, Urban’s busy, guitar-loving fingers were even more eye-catching. Seemingly channeling The Eagles’ Joe Walsh, Urban changed guitars frequently. Grinning through most of the concert, Urban ripped inspired, impressive solos from Telecasters, Les Pauls and one guitar whose body comprised of color-changing lights. A musician who is capable of playing guitar in almost any other band — Urban’s guitar style could mesh seamlessly with hard rockers Aerosmith, The Rolling Stones and even The Who — Urban often did opt for the less-is-more approach during the instrumental breaks. He hit single guitar notes during breaks instead of always shredding up high on the guitar neck, letting those tasteful notes ring throughout the venue. Remarkably, Urban’s band included only four musicians, yet most of the members played double and triple duty on pedal-steel guitar, six-string banjo, B3 Hammond organ and keyboards. Bassist Jerry Flowers sang the chorus on a shimmering take of U2’s “With or Without You,” and former Tait guitar player Brian Nutter gave a wonderfully shrieking vocal tribute to AC/DC’s Bon Scott via a faithful reading of “It’s A Long Way to the Top (If You Want to Rock and Roll).”. Urban also took over a minute to thank the crowd for spending money on tickets “in these tough economic times when people have lost jobs.” He later pulled three fans onto the stage to sing with the band. Winning the most cheers was a tiny elementary school girl, whose dance moves and playful sassyness made her seem like a miniature Shania Twain. “I’m from Joplin, Missouri,” the girl responded into the microphone. Two seconds later, a deafening roar of cheers and whistles flooded the BOK to encourage the girl and mark the public’s on-going support for Joplin tornado victims. Urban then knelt down beside the girl and kissed her cheek, which caused the child to shake with glee and jump up in down in place. Miranda Lambert has seemingly spoiled critics like myself with her single choices this past year. From the fantastic attitude laden “White Liar” to the brilliant and emotional “The House That Built Me,” we’ve become accustomed to superb artistry from Miranda and almost expect a masterpiece each time she releases a new single. It’s because of that fact that the lead single off her upcoming album is such a disappointment. Before I begin my ranting and venting about the song’s disappointments, let me first praise “Baggage Claim” on the one thing it got right. The production on this song is one of the most unique to hit country radio this year. The excellent acoustic strumming provides for a funky sound which is only enhanced by stellar guitar riffs and some Little Big Town-esque hand clapping. A production as unique as this should only be attempted by certain artists and Miranda Lambert is definitely one of those and she pulls it off. Unfortunately, that ear-pleasing production is paired with an unclear set of lyrics that revolve around a unique (and I don’t mean that in a nice way) metaphor about a baggage claim. I think this song is about Miranda’s character telling her man that he has too many problems (“baggage”) for her to deal with so she’s going to leave them for him to take care of “at the conveyor belt” (of course!). But I should warn you and say that I shouldn’t be quoted on my interpretation of the song because the lyrics are too vague and, at times, too scattered to decipher. Despite the strange metaphor and lyrics, I must admit that I have been walking around singing “come and get it” ever since I heard the song. That has to count for something, right? Lucky for “Baggage Claim,” it’s being delivered with plenty of attitude and sass, something that Miranda has perfected, but even the vocal seems a bit strange to me. I’m not sure if the producer had too much fun with the vocal effects or if the unfamiliar tone of Lambert’s voice was intentional, but it does nothing for me and it certainly does nothing for an already disastrous song. Thankfully, Miranda has a track record of releasing sketchy songs as lead off singles (“Me and Charlie Talking,” “Crazy Ex-Girlfriend,” “Dead Flowers”) so that instills hope in me that Four the Record will include stronger material. But for now, “Baggage Claim” is an unusual stumble from one of the genre’s most consistent artists. Before the album’s release, I heard “You” performed acoustically on XM/Sirius Satellite Radio and the song instantly became a favorite of mine. My biggest fear was that the studio version’s production would somehow ruin the song. Thankfully Chris and producer James Stroud managed to keep the production light, fun, and a little flirtatious. A simple fiddle and guitar laden production allows the song’s lyrics, written by Young and Luke Laird, and the vocal performance to be at the song’s forefront. The lyrics aren’t the best thing to hit country music (“girl you rock me harder than some downtown band”…really? ), but thanks to a unique melody and hook, they are extremely catchy. I know I was instantly hooked when I heard the song and could not get the chorus’ last line (“I’ve never found anything that makes me feel like I do about you”) out of my head for days. Though they don’t scream artistic greatness, the words make for a sure fire hit that country fans will eat up. After all we’re talking about the same radio audience that sent the less artistic “Honey Bee” to number one. “You” will most definitely go straight to the top of the singles chart because of it’s production and Chris’ vocal delivery. This is just another step Chris Young is taking towards country super-stardom, something that he’ll achieve very soon. Look out Brad and Blake, Chris Young is headed your way.